I've been trying to improve my parchment picot cutting technique and have included some on this card. The frame and butterfly are traced from Groovi plates and I've cut away some of the butterfly wing areas to show the pretty background paper. Also the edge was pierced with a 'V' tool then cut with snips - decided it just needed something else so added a couple of gridwork panels. The colouring was done using Polychromos pencils. Getting there slowly I think! 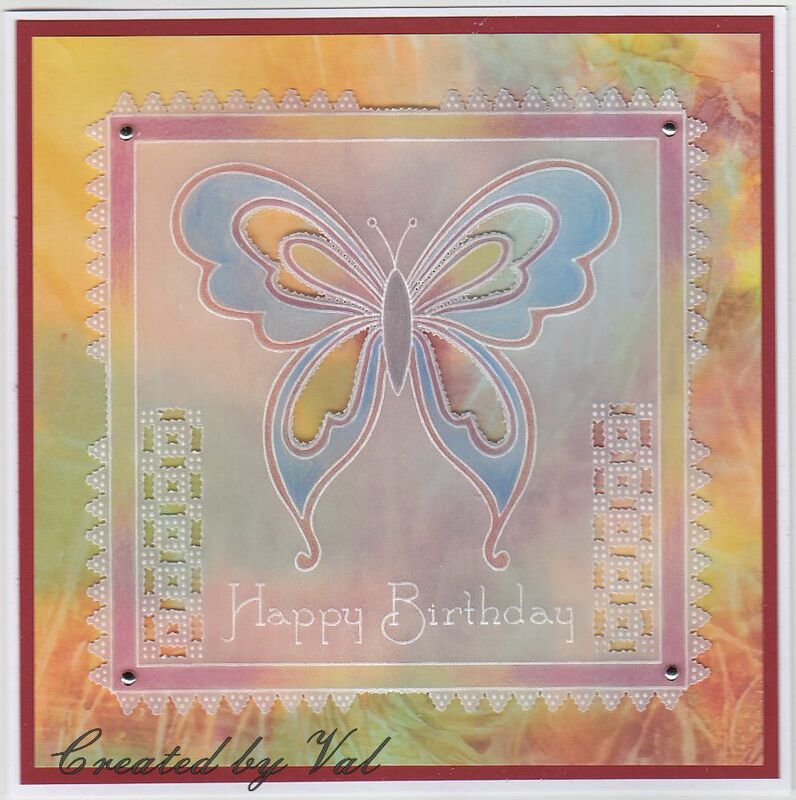 This is so beautifully crafted and I love how you use parchment paper on your cards! 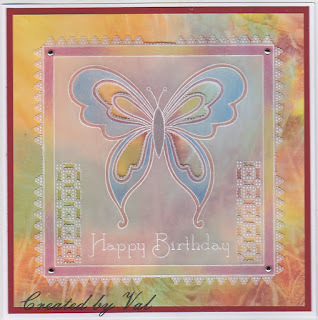 The soft colors work perfectly with that lovely butterfly! It looks super Val, the colours are lovely too.